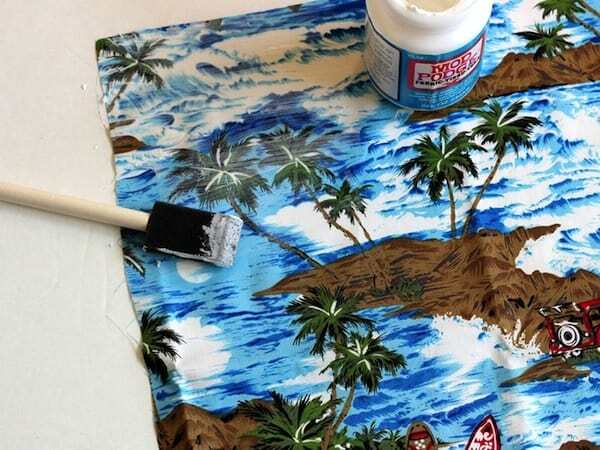 You can decorate a canvas bag with your favorite fabric in three steps! 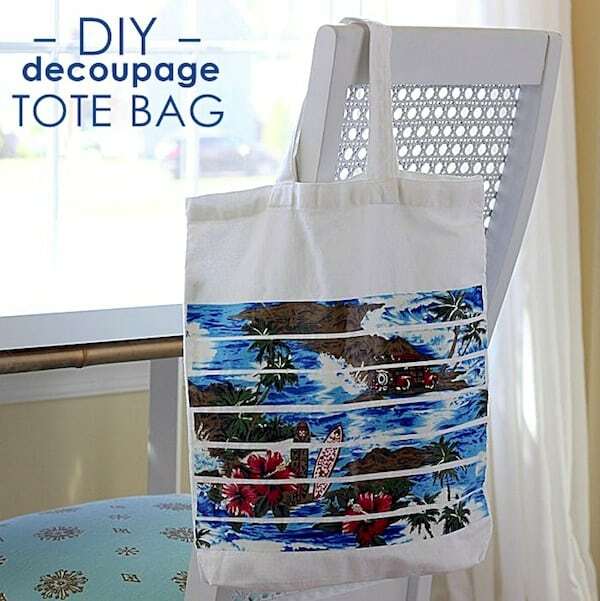 I made a fun DIY beach tote for summer pool trips. It's SO easy! I love having a big tote or two around this time of year. Summer adventures often seem to require a big tote bag, don’t they? Hence this decoupage bag! 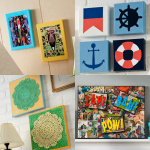 Inexpensive canvas totes from the craft store are fun to decorate for the summer. 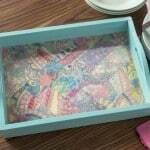 Did you know you can decoupage them with your favorite fabric? 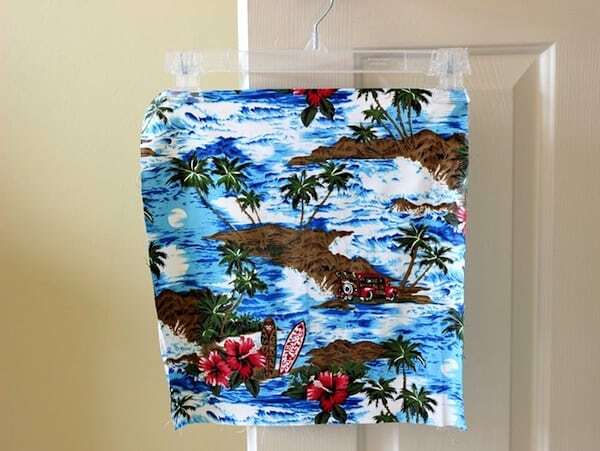 I made a fun tote for my summertime pool trips using a retro surfer-inspired fabric I found. I loved the scene depicted on the fabric and the mix of blues and red. 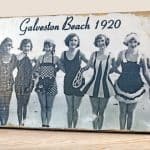 Fun and beachy! I could’ve just adhered a panel of this fabric to the tote . . . but I thought strips of the material could be more fun and interesting. 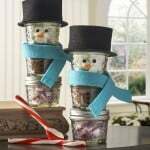 Want to see how to make one? Prewash and dry both the tote and decorative fabric. Cut an approximate square of the fabric that will fit over the side of your tote. 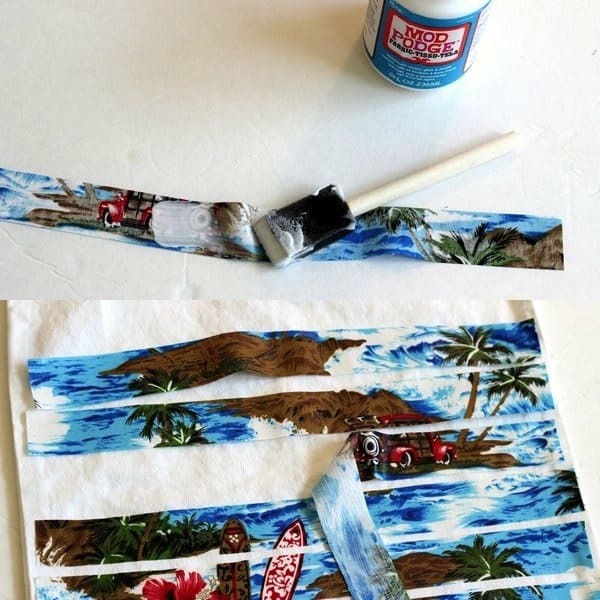 Brush a coat of Mod Podge over the section of fabric you plan to use. Hang the fabric till dry. 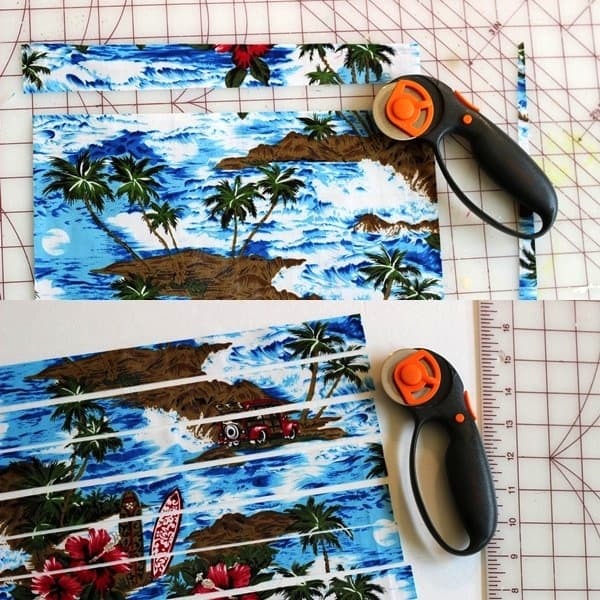 Using a ruler and the cutting mat, clean and square up the fabric edges to be the exact size you need to cover the side of the tote. Cut approximately 1” strips from that square. 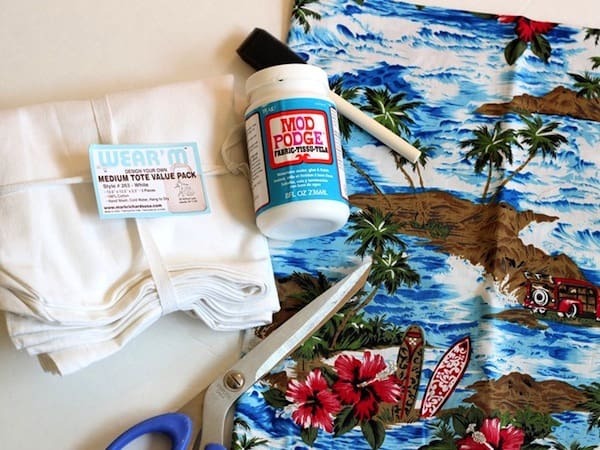 The Mod Podge you applied before should make the fabric easy to cut without fraying. Brush a liberal coat of decoupage to the back of each strip and press each one down on the tote, allowing a little space between each strip. Lay the stripes down in order to recreate the pattern in the fabric. But to add a little variation, you can also gently stagger each strip so the scene does not line up perfectly. It’s up to you. Once dry, brush another coat of Mod Podge on top of the strips, too. I love how the beachy fabric looks on my decoupage bag! When you were a kid in art class, did you ever draw a picture and then cut it up into strips and reassemble the picture with the strips staggered to create a different/mottled look of the original drawing? I did . . . and that approach is what inspired this decoupage bag. I like how the stripes break up the Hawaiian scene a little so the effect is varied and slightly abstract. I’m having fun using this bag this summer . 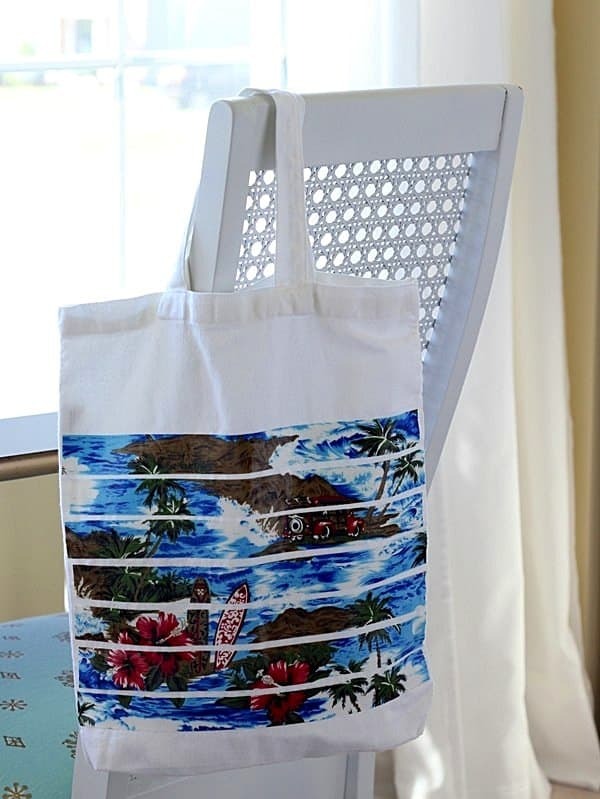 . . don’t you want to decorate a canvas bag to take to the beach or pool? What a cute idea! I really like the effect from cutting the fabric into strips. It almost looks like you handpainted the design. Love it, gotta get some fabric modge podge! thanks so much for sharing on craft schooling Sunday! NOOOO WAYYYYYY! 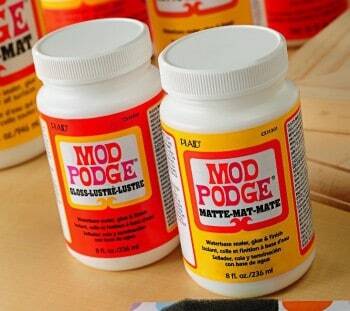 I did not know they had Mod Podge for fabric! I am SOOOOOO on this one! I love the way you stripped the pieces of the fabric to give it more interest. This is such a great idea! I love how it turned out!